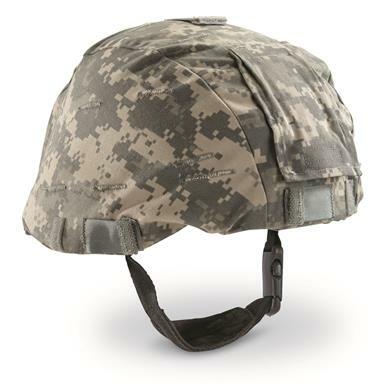 Complete your MICH Helmet with a U.S. Miltary Surplus MICH Helmet Cover. You get two Covers, each featuring a communication flap in the back, IR tabs, button holes for vegetation camo and a front flap for night vision goggles. Genuine U.S. Army issue.